Yesterday it was snowing again! And no, we don’t like it, we’ve had enough snow and we can’t wait till it’s sunny again! But the good part about the cold weather is that we can wear our favorite sweaters! 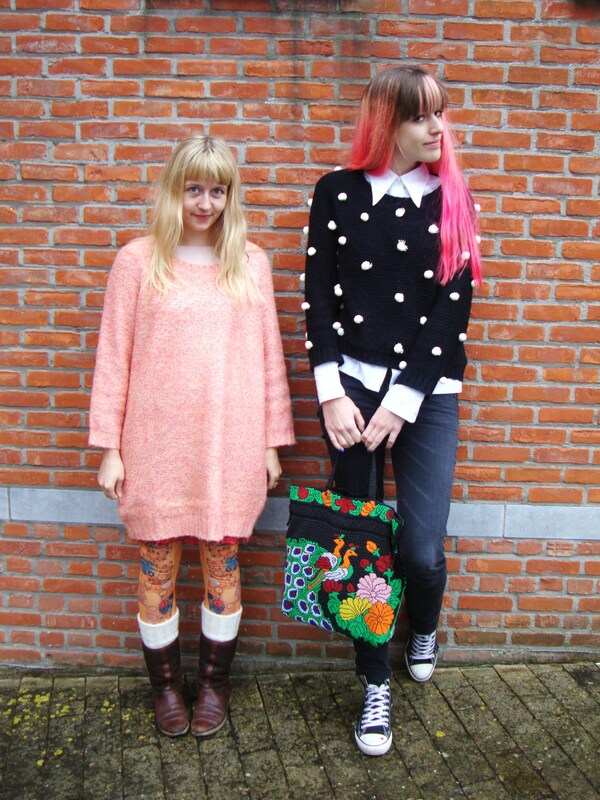 For Jade that means a huge salmonpink coloured knitted sweater and for elvi a black with white ‘real dots’ sweater! And what do you think about the cute hat with the bear jade’s wearing in the 2nd pic?